What first impression does your front door and walkway make on guests? If the effect is a little lackluster, it’s time to spruce things up by adding a touch of natural beauty. In this blog post, you’ll find 15 flower pot ideas designed to leave a lasting mark. Looking for your own pot of gold? 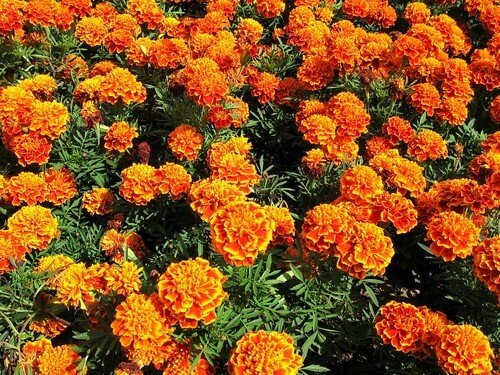 Well, you can get pretty close with marigolds. These flowers look lovely on their own and provide a burst of yellow to lift your spirits. Pair them with pumpkins for the perfect transition to fall. Succulents are popping up everywhere these days and with good reason. They’re perfect for those of us whose thumbs are little less than green. Even if you’re a pro gardener, you’ll love the ease of caring for succulents. They add a little something different to your garden and flourish in drier climates. You don’t have to own a grand estate to give topiary a try. Begin with mini-trees or shrubs. Have them trimmed to make three oval shapes of different sizes. This design looks gorgeous placed next to pillars or columns. Why not enhance your front door with flowers in varying shades of purple? A simple combination of light, medium and dark tones makes a lasting impression. Use galvanized containers to add some contrast. This style is perfect for a stately home. Allow the vines to hang down freely over the urns and prune them as little as possible. English Ivy makes for a good base but feel free to also mix in the clematis vine, which has large, colorful petals. Break out the acrylic paint and terracotta pots. Paint free-form or use a stencil to guide you. These pots can house just about any plant. Painting them makes for a nice family project. Go green by repurposing leftover containers. Everything from wagons to tires can be painted and filled with flowers. This eco-friendly option creates the ideal container for petunias and vines. Looking for a plant well-suited to the container life? Go for a Japanese maple. It suits a variety of soils and will add some beautiful foliage to your front porch. These maples look best in pairs or trios. Morning glories grow fantastically in containers when provided with a base to climb. Give them room to grow with bamboo sticks, metal rods or a trellis. The Heavenly Blue variety adds a particularly striking shade of sky blue. You’ll need a large pot to house this flower. The moon flower produces impressive blooms, which open in the late afternoon. The trumpet shape is just one of the many mesmerizing features of this flower. 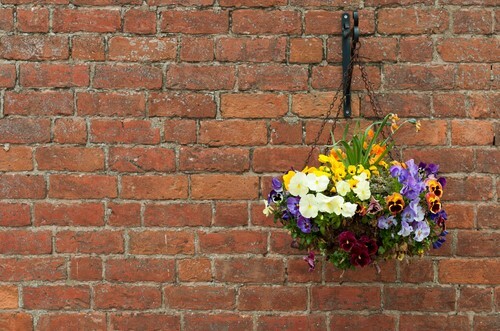 Bring a little romance to your front porch with hanging containers. 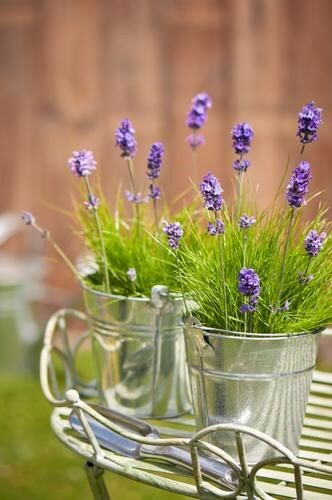 This classic garden staple feels wistful and creates a charming view. With hanging containers, you’ll also keep plants off your entryway and reduce cleanup time. Start with million bells petunias. Love the modern look? Give Morning Light Maiden Grass a spin. The green blades look sleek when grown in white or cream pots. Line up several in a row for the most impact. Now here’s an eye-catcher! First flame red is a gardener’s dream. It grows well on its own without requiring a lot of maintenance. Bring out the bright red color by pairing it with green plants. Despite its name, the Dash Magician doesn’t perform any disappearing tricks. This flower imparts pink, white and purple hues. The delicate look suits many homes and styles. You don’t have to move to Florida to grow your own citrus tree. 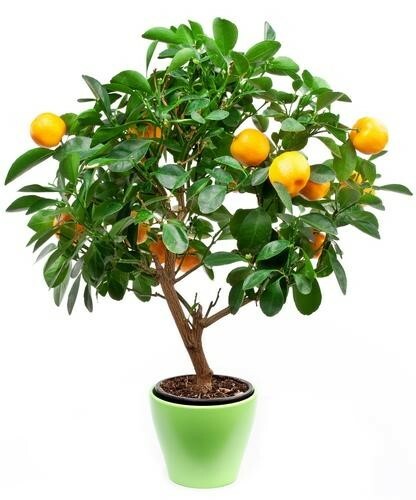 Dwarf citrus trees are perfect for warm weather climates and look lovely in decorative pots. Just be sure to place them in a spot where they can receive plenty of direct sunlight. As you update your home’s entrance, don’t forget about the front door itself. At Doors of Elegance, you’ll find a range of options designed to suit your style perfectly. Reach out to us today at (504) 887-5440.